According to the Pragmatic Marketer: "Apple does not do market research. This is straight from Jobs’ mouth: We do no market research. They scoff at the notion of target markets, and they don’t conduct focus groups". And that's a great thing. Market research (focus groups or just surveys to determine usability or innovation needs) are the wrong technique. User experience is about understanding human behavior and problem-solving in context. Context research (also called contextual research, ethnographic studies, field studies, user research) is critical to unconvering habits, sweet spots, opportunities and cognitive, social and emotional constraints. You can't get that from asking users what they want or what they think. You can't have users imagine what they don't have. Users are not designers, they are users. They are a soure of design guidance, inspiratation and enlightenment. In Jobs case not expanding on UX product strategy was likely strategic, in the journalists case we're sure it's a lack of familarity or distinction between market research and user research. Bottom line: Market research is opinion-driven. User research is behavior-driven. How do you change behaviors? By watching not asking. Today, UX and UCD is strong as ever at Apple. According to a former User Experience evangelist at Apple, it's not just great designers but the organizational culture that supports great UX and design. Where does Apple come up with great User Experience? First, from doing user research and investing heavily in UX, and second from creating a UX culture that supports design. Experience working with or leading user research; ability to translate user goals and behaviors into designs. Hint: User research is one of the most strategic activities because it makes your team smarter. Empathy and design decisions based on contact with users can yield long term ROI if part of your product development process. 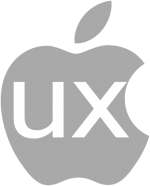 The secret of Apple's design process is in their UX maturity as an organization. Building and growing your UX culture is the most strategic thing your company can do. Summary: Apple does do user research, not market research. Usability and UX are critical components of not only UI and visual design tasks at Apple but also UX culture. UX culture is the critical background piece that sustains a sharp focus on users and design at Apple.